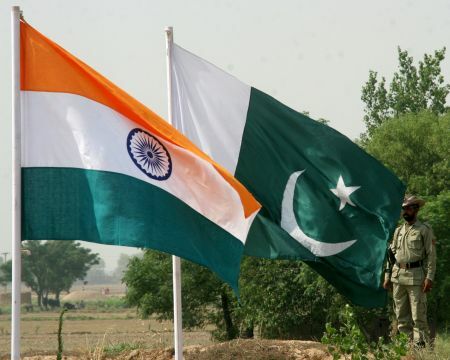 In fresh strain in bilateral ties, India on Friday lodged a strong protest with Pakistan over the alleged harassment of Indian High Commission officials in Islamabad and the denial of access to Indian Sikh pilgrims visiting that country. India also expressed “grave concern” over reports of attempts during the pilgrims’ ongoing visit to “incite” communal disharmony and “promote secessionist tendencies” with an aim to undermine India’s sovereignty and territorial integrity, the external affairs ministry said. “India has today lodged a strong protest with the government of Pakistan that despite having been granted prior travel permission by the Ministry of Foreign Affairs of Pakistan, the Consular officials of the High Commission of India in Islamabad were harassed and denied access on November 21 and 22 at Gurudwara Nankana Sahib and Gurudwara Sacha Sauda,” the ministry said in a statement. India’s protest came a day after the two countries agreed to develop a corridor on their respective side of the border to link a historic Sikh shrine in Kartarpur in Pakistan. There were reports that pro-Khalistani banners were shown to the Indian pilgrims while they were on their way to the two Sikh shrines. “Pakistan has been called upon to take all measures to not allow its territory to be used for any hostile propaganda and support for secessionist tendencies against India in keeping with the commitments made under the Simla Agreement, 1972 and endorsed in the Lahore Declaration, 1999,” the MEA said in a statement. According to the MEA, the access was denied despite the Pakistan Foreign Ministry granting them prior travel permission. As a result of the harassment, the officials were compelled to return to Islamabad without performing their diplomatic and consular duties vis-a-vis Indian pilgrims, it added. Indian officials said this is the third consecutive visit of Indian Sikh pilgrims when Pakistan has prevented the Indian High Commission officials from meeting the Indian nationals on the pretext of security. Pakistan has been reminded that this is in contrast to the treatment meted out to their High Commissioner and the Consular officials in New Delhi who have been provided full access to meet the Pakistani pilgrims who are currently in India on pilgrimage to Kalyar Sharif, the MEA said.